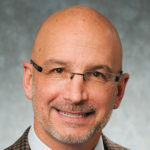 Scott H. Kozin, M.D., is the chief of staff for Shriners Hospitals for Children in Philadelphia. His areas of special interest include upper extremity/brachial plexus injuries, spinal cord injuries, congenital differences and upper limb reconstruction. Visit website.